Everything a little girl could want on the go is in this set. 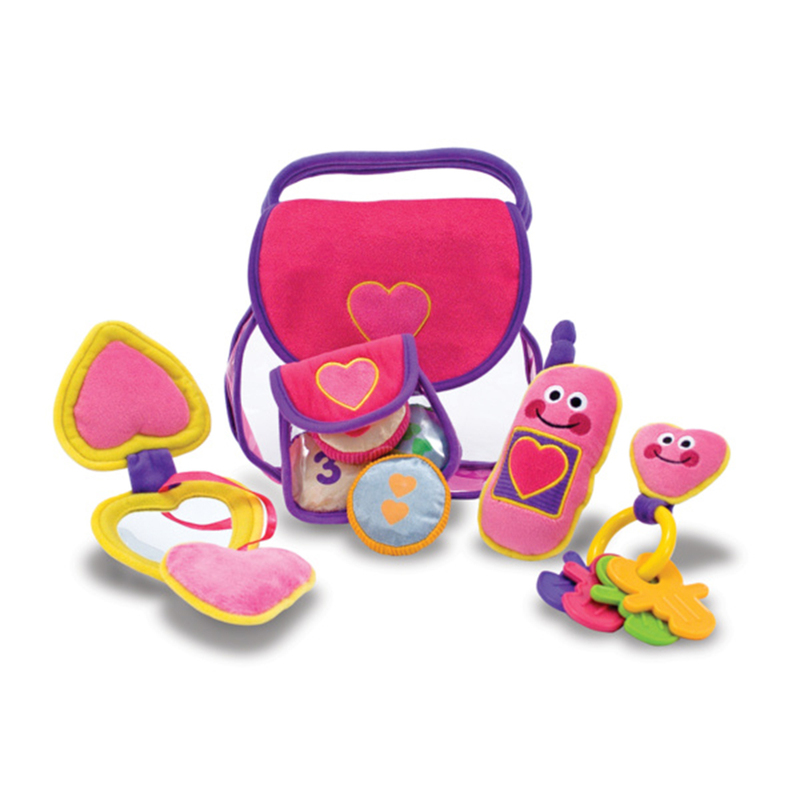 The pretty purse fill and spill play set includes a cute velvet purse, plastic key ring, toy phone, change purse and a child-safe mirror. Suitable for 18 months or over.